The Texas Capitol building and grounds were filled with competing blue vs. orange shirts during the debate in Texas over a law that would limit abortions past 20 weeks/5 months of pregnancy, and require abortion facility upgrades. The bill’s supporters and opponents rallied at the State House, the supporters wearing blue, and the bill’s opponents choosing orange. Even with the limitations in this bill (which appears on track for passage), abortions for any reason up till 5 months/20 weeks of pregnancy will still be available in Texas. Past that 5-month point, abortions will also continue to be legal if necessary to protect the life of the mother, and in cases of severe fetal abnormality. The really big news in the Texas abortion discussion was not the widely reported noise of orange-shirt protesters. It was the growing recognition that timeworn slogans are not responsible or effectual tools in shaping or winning abortion policy battles. 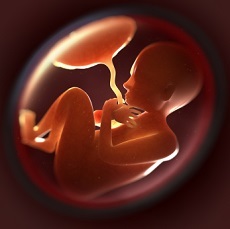 The 1973 Roe v. Wade decision, that held that women have the right to abortion at least in the early phases of pregnancy, acknowledged that the government has a competing and at some point compelling state interest in protecting an unborn child who has reached the stage of viability outside the womb. Shortly after Roe, advocates on the Left latched onto slogans or euphemisms — “procreative liberty,” “women’s rights” and “reproductive justice” — that identified entirely with women’s rights, and ignored and effectively “dehumanized” the unborn baby. The Left claimed this was standing for women. The confluence of three factors has awakened American thought to the need to grow past slogans and deal with human realities surrounding abortion. One is the relatively new medical discovery that by 5 months of gestation, babies in the womb feel pain. This is the “compelling state interest” under Roe that Texas and other states argue justifies regulating abortion at that stage. The second is the deeply troubling Kermit Gosnell trial, in which an abortion doctor was convicted of slaying newborns who survived an attempted late term abortion. Gosnell’s actions were barbaric to any sane person, and caused many Americans to newly wonder whether those actions are also the painful but logical extension of a societal view that exalts only the woman’s “procreative liberty,” and ignores and dehumanizes the other life involved, that of the child. Third, due to medical science advances, more examples abound of cases where a baby born prematurely, at the gestational age of 22 weeks or less, has survived and thrived. This confluence of the fetal pain discovery, the barbarity that results from dehumanizing the unborn child in the abortion discussion, and the medical advances impacting viability, played notably in the dynamics of the Texas debate. These realities also raise the question: how can defending unlimited late term abortion be seriously considered “standing up for women”? Is there a woman alive who wishes to inflict pain on a baby? Historically, the “no camel’s nose in the tent” fears on both sides have precluded pro-lifers and pro-choicers from acknowledging common ground. But in this Texas debate, bridges between the two groups were evident. During testimony before the Senate Health and Human Services Committee, Chair Jane Nelson noted that when testifiers became emotional, blue-shirted advocates passed tissues and held the hands of orange-shirted witnesses whose testimonies brought them to tears, and vice-versa. The common ground was the perception of life as precious, and abortion decisions as complex and painful. Roe still stands as the law of the land, and honoring the rule of law matters. But the hurling of slogans that focus only on the woman and ignore the other life involved, ring hollow and tone deaf now, unpersuasive because we know more facts about abortion and unborn children. Texas rejected the idea that supporting unlimited late term abortions equates with “standing up for women.” Two women, State Representative Jodie Laubenberg and State Senator Jane Nelson led this bill through the legislature using reason and facts, not slogans. The power of substance over slogan was evident in this abortion debate, with the result that Texas chose a legislative path that protects unhampered a woman’s right under Roe to choose abortion for the first 5 months of pregnancy, recognizes the state’s interest in protecting against fetal pain that occurs in later term abortions and also happens to stand with the views of most women.